Sift the flour, baking powder, mustard and salt together and mix in with the egg mixture. Chop the broccoli coarsely and mix with the chopped onion. Add to egg and flour mixture. 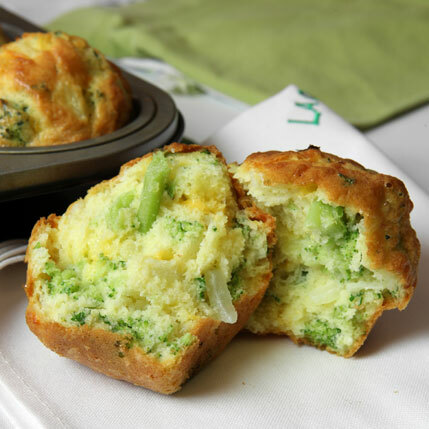 Spoon mixture into greased muffin pans and bake for 25 – 30 minutes or until done. Leave to cool slightly and remove from pan. Serve hot with butter or with scrambled egg (Croissant with Scramble Egg & Salmon on how to scramble eggs) as a complete breakfast or light meal.